The first part of my course ended with the development of a 5 pages responsive website. Here are the five (not so easy) steps I went through in 4 days (!!!) to get the web-site up and going. 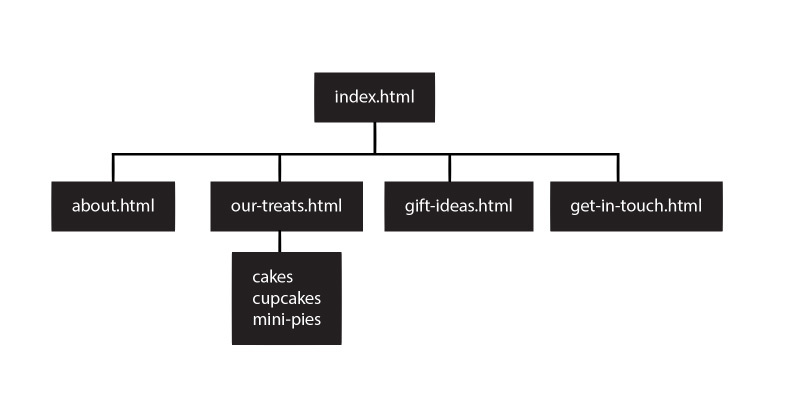 Step 01: create a site map to get an idea of the structure of the website. Step 2: Create a wireframe for the home page and sub-pages defining the grid system I was going to use. Step 4: Mockup of the pages defining the spaces, menu, colours, typography and using real content to design the webpages. Step 05: Program the pages with HTML5 making sure it validates (get no errors when checked by the W3 Validator) and style the pages using CSS3. 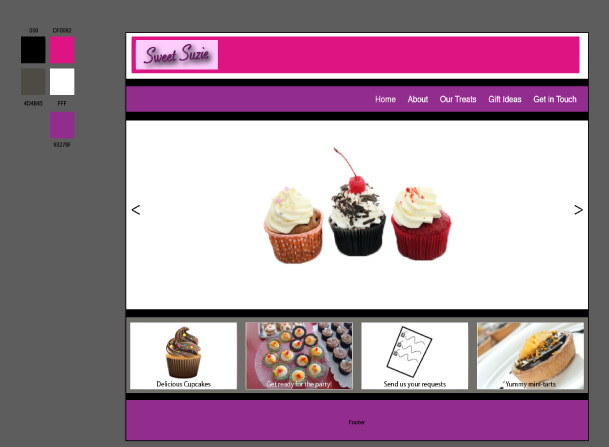 You can check my website online: Sweet Suzie and give me some feedback on what you think.